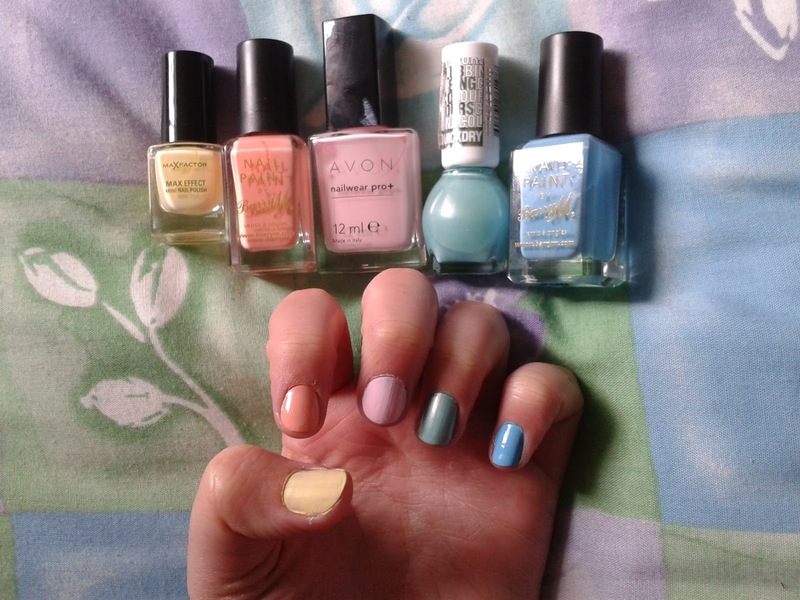 I decided to paint my nails using some pastel colours after being inspired by an advert advertising the pastel colours of the Models Own range. I used a range of colours from Maxfactor, Barry M, Avon and Miss Sporty. I love using pastel colours and was so happy with the result, that i decided not to create any nail art designs. Has anyone else been using pastel colours lately? Ahh, come paint my nails - these look so cute!